Advances in science, medicine, and an overall increase in the standard of living coupled with the Baby Boomer generation moving into their retirement years has caused a virtual explosion in the number of older Americans. Not surprisingly, the increase in the population of seniors in the United States has caused a corresponding interest in social and legal issues that concern the elderly and those who care for them. As of the 2010 Census, the town/village of Harrison, New York was home to approximately 27,500 residents, of which 14.6 percent were age 65 or older. Whether you are part of the older American population explosion yourself, or you have a loved one who is, there are numerous resources available to you in the Harrison, New York community. Of course, you must know how to find those resources for them to be of benefit to you. To help you, the elder law attorneys at Law Offices of Kobrick & Moccia have compiled some commonly used elder law resources for the Harrison, New York area. If you are a senior living alone, or you are concerned about a loved one who is, it is wise to know who to call in case of an emergency. Although you can always call 911, it is also helpful to know how to locate your local law enforcement agency online. If you live in the town/village of Harrison, New York, the Harrison Police Department serves residents who live within the town/village boundaries while the Westchester County Department of Public Safety serves residents in surrounding area. New York State Department of Health where you will find profiles of LTC facilities as well as complaints filed against facilities. New York Care Planning Council which offers a list of facilities as well as a wealth of helpful information related to long-term care. com which offers you the ability to search for all types of care, including home care, assisted living care, and skilled nursing facilities in and near Harrison. Nursing Home Compare found on the Medicare.gov. This is the official U.S. government’s website for Medicare, offering you the ability to search for and compare licenses nursing homes anywhere in the country. The cost of long-term care (LTC) in the United States has increased right along with the older population, and is expected to continue to increase in the years to come. As you might well imagine, New York is among the most expensive LTC in the nation with an average yearly cost of $140,000 for 2017. Because neither Medicare nor most basic health insurance plans cover the expenses associated with LTC, it is imperative that you plan ahead. While Medicaid does cover LTC expenses, the Medicaid eligibility guidelines can be problematic for many seniors in the absence of advanced planning. Consequently, the estate planning attorneys at Law Offices of Kobrick & Moccia urge you to incorporate Medicaid planning into your comprehensive estate plan to ensure that you will qualify for Medicaid benefits if you need them in the future. Seniors are no longer expected to sit on the front porch watching the sun set each day. These days, most seniors enjoy an active social life well into their “Golden Years.” If you are looking for places to mingle or meet new friends in and around the town/village of Harrison, New York you might begin your search with the official town/village of Harrison website’s “Senior Centers and Activities” page. If you are a veteran, you might also be interested in the nearby VFW Post 1156. Many state and federal resources and assistance programs are geared specifically for seniors. An excellent example is the New York State Office for the Aging. Many seniors also qualify for assistance from the Social Security disability or Social Security retirement program. For information, including application instructions, visit the Social Security Administration’s (SSA) disability website. To sign up for your Social Security retirement benefits, navigate to the sign up website of the SSA. . If you are a veteran, or the surviving spouse or dependent of a veteran, you may also be entitled to a number of benefits through the Veteran’s Administration. Along with well-known benefits such as pension and disability benefits, you might qualify for additional benefits you may not be familiar with, such as Veteran’s Aid and Attendance benefits. Once you reach retirement age, you will likely be automatically enrolled in the Medicare program. Although basic Medicare is free to all seniors, Medicare actually has four parts and the other three parts may come with a premium. If you have questions about a covered service or need to find a provider, the official Medicare website can help. In addition, if you need help covering the high cost of long-term care at some point you might qualify for New York Medicaid for seniors. Although predominantly funded by the federal government, each individual state administers its own Medicaid program. Although many state and federal assistance programs provide much needed, and well deserved, benefits to seniors, navigating the red tape required to apply for these programs can be challenging. 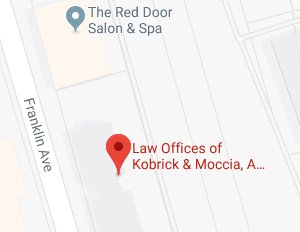 At the Law Offices of Kobrick & Moccia we would be honored to help you through the process to ensure that you receive the benefits to which you are entitled. Your Golden Years should be spent relaxing and enjoying everything retirement has to offer and we are dedicated to doing our part to make that a reality for you. Our experienced elder law attorneys understand the legal issues seniors, as well as caregivers of the elderly, face and we are committed to helping you resolve those issues. We can help you with incapacity planning, petitioning for guardianship, asset protection, probate and tax avoidance, and a variety of other elder law issues. If you have specific elder law questions, contact an experienced elder law attorney at the Law Offices of Kobrick & Moccia by calling 800-295-1917 to schedule your appointment.